If you still remember the first time to watch a 3D movie in a cinema with a pair of magic 3D glasses, you must have been shocked by the 3-dimensional visual effects and superior video quality. Today, 3D Blu-ray movies are more accessible in our daily life. For the further references, in the following article, more information about 3D Blu-ray and ways to play or burn 3D Blu-ray will be introduced. Before moving our focus to the part about how to play 3D Blu-ray, for example with an external 3D Blu-ray burner, let’s go to the related introduction to 3D and Blu-ray. What is 3D and Blu-ray? How does it come to our life? For the terms "3D", it is a short term for 3 dimensional which is mainly used in the video production and visual works and other entertainment segment. 3D technology is based on computer/Internet/digital platform of modern instrumental based Shared technology that offers a wide array of possibilities in TVs, movies and other products. 3D technology in the computer can present a world similar to our real world. Concerning the 3D movies, the 3D technology tricks our brain that our eyes are watching the same images from slightly different angles. While watching 3D movies, polarized glasses will be needed and 3D now adopts rotational polarity so that the movie being projected has two different spins to it. One eye sees the picture in clockwise and the other eye in counterclockwise so as to separate the image. 3D movies can take you to the immersive and three-dimensional pictures. Blu-ray is a format of DVD designed for the storage of high-definition video and data. Introduced to consumers in 2006, Blu-ray is commonly known as HD-DVD which was being designed to replace the DVD standard in the U.S. and world market. The term "Blu-ray" refers to the "blue" (violet color) laser which is used to read the disc focused to a smaller area. Compared to DVD, Blu-ray can read information recorded in pits that are less than half the size of those on DVD. Later on December 17, 2009, The Blu-ray Disc Association (BDA) has officially announced that 3D content could be added into Blu-ray disc. From then on, other media manufacturers gradually adopted this new trend to put 3D movie content to Blu-ray disc. And now, the 3D Blu-ray has been quite common seen in our life. As one of the best video quality, 3D Blu-ray is more and more welcomed by movie enthusiasts. In order to obtain the best watching experience, a powerful 3D Blu-ray burner is quite necessary. Due to the convenience and efficiency that an external 3D Blu-ray burner brings, here I will strongly recommend the 5 best external 3D Blu-ray burners for your further information. 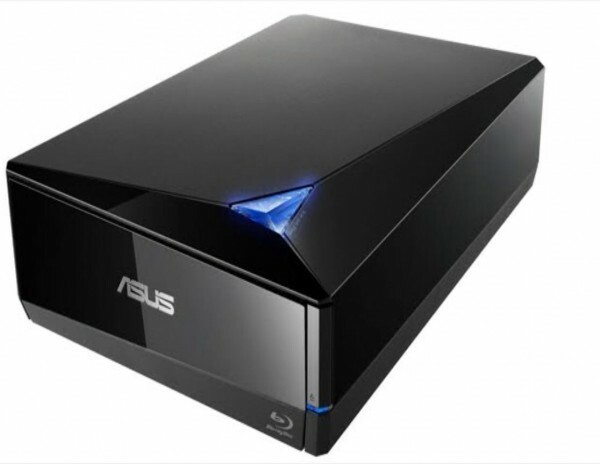 The first 3D Blu-ray external burner I will introduce is ASUS BW-12D1S-U external 3D Blu-ray Writer. As one of the best external 3D Blu-ray burners, this burner can easily help you to burn Blu-ray discs with 3D effect retained or added with up to 12X burning speed due to the use of Optical Tuning Strategy technology. It has a diamond-shaped form and is good for space management. This 3D Blu-ray external burner is connected to computer via an USB 3.0 cable. ASUS BW-12D1S-U external 3D Blu-ray Writer fully supports 3D playback as well as 2D to 3D conversion and full 1080P HD. All the 3D Blu-ray audio performance supports both Dolby Ex and 5.1-channel DTS-HD. You can enjoy the fast burning speed via USB 3.0. Especially you can buy it at a quite decent price with one-year warranty. 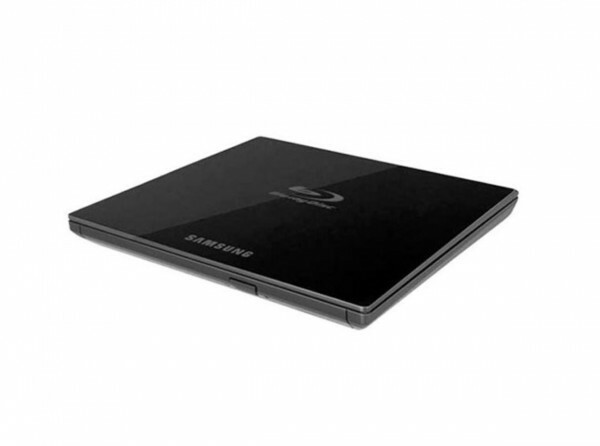 If you would like to obtain home theater experience with a slim external 3D Blu-ray burner, then Samsung SE-506CB External 3D Blu-ray Writer will be your perfect choice. With sleek and portable features, this burner can allow you to read and write all kinds of Blu-ray and DVDs with support for Blu-ray 3D effects. Due to the advanced 1080P Full HD technology, the burner can provide you with the crystal-clear and super sharp images which enable you to be fully immersed in the movies. What’s worth mentioning is the 3D in Full HD features presents vivid three-dimensional pictures and allows you to obtain better watching experience. Besides, this burner is able to be compatible with all 3D displays and all 3D video formats. Thirdly, I will introduce a newly designed external 3D Blu-ray external burner USB C External Blu-ray Drive NOLYTH USB300. It is a Blu-ray drive which is powered by USB C and embedded cable. This burner is widely compatible with Windows system and Mac. You can freely use it to read and burn DVDs, CDs, Blu-ray discs as well as 3D Blu-ray discs which supports data storage up to 128GB. NOLYTH external Blu-ray writer is equipped with USB C high speed interface which is quite high at speed in transmitting which is up to maximum of 10Gbps. You can use it with only several steps and more professional software tools to play this external burner will be recommended. While burning 3D Blu-ray disc, its speed is up to 6 times faster than most other burning burners and also its slim feature makes it quite convenient to carry. 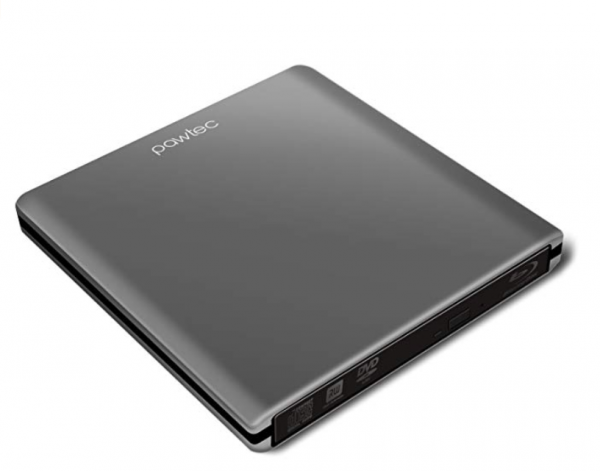 With effortless setup process, if you want to use an external 3D blu-ray burner right away, then Pawtec Luxury Slim External USB 3.0 Writer is a good option for you. Luxurious gray aluminum exterior makes you stand out from the crowd. It is able to read and write Blu-ray discs with 6X speed. It supports 3D Blu-ray burning and watching. You only need to download a professional 3D Blu-ray player, then you can watch the 3D Blu-ray movies burned via this burner. The plug-and-play design makes it quite simple to use. 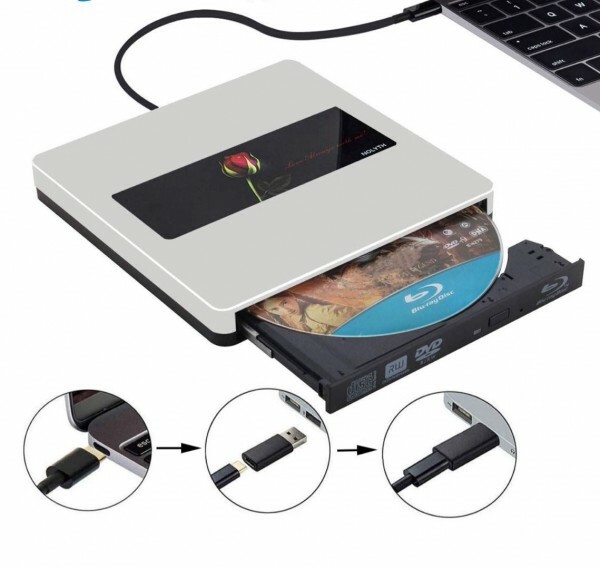 It is equipped with USB 3.0 cable and you only need to connect the burner to your computer and then the 3D Blu-ray disc can be directly burned via it without additional burning software tools. At last, LG BE16NU50 will be introduced to be used as a professional 3D Blu-ray external burner. This burner can easily write and read Blu-ray disc with several steps with 16X writing speed. Also, it has been featured with 3D Blu-ray playback functionality so as to present an immersive image to audiences at home. It is compatible with BDXL media use so that its storage capacity is up to 128GB. Many users remarked that it’s very quiet during the burning operation and it’s easy to set up. 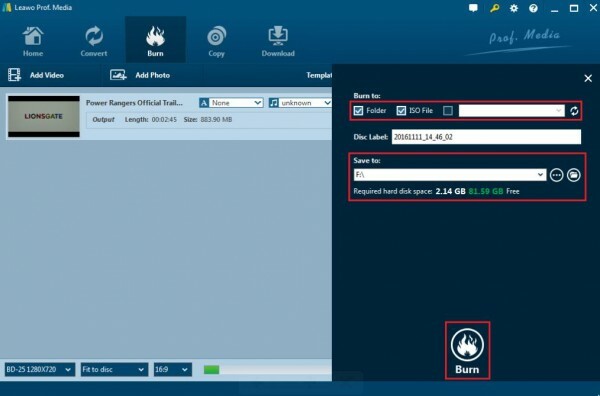 If you are also finding a burning software tool for burning Blu-ray discs, then you can take a try on 3D Blu-ray burning software. Among the various 3D Blu-ray burning software, then Leawo Blu-ray Creator is recommended to be used as your firm choice. 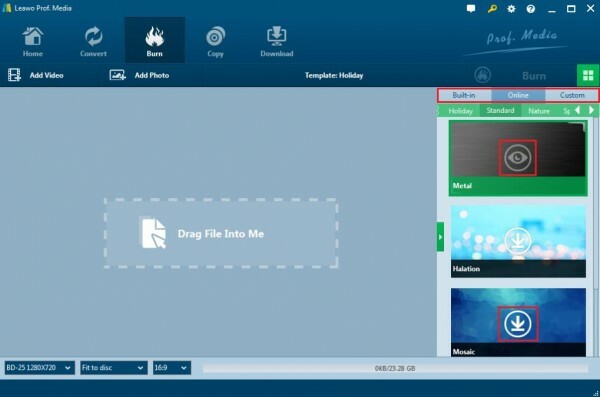 As a professional and comprehensive Blu-ray burning program, Leawo Blu-ray Creator can burn videos and photos in 180+ formats to Blu-ray/DVD movies with 40+ DVD menus templates in ease! With Leawo Blu-ray Creator, you can burn more than 180 formats videos in formats like RMVB, MKV, MP4, WMV, Xvid, MOV, and FLV to Blu-ray with the original quality retained. 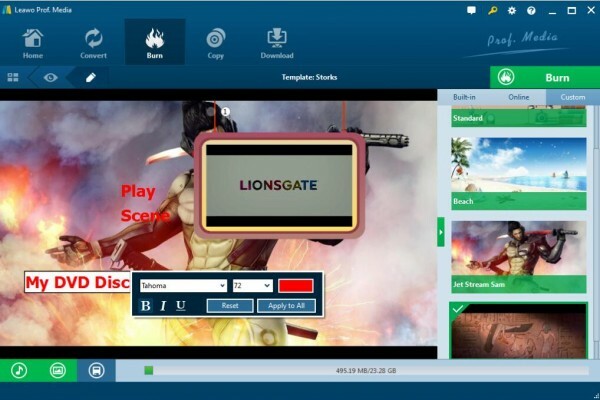 For your own preferences toward the Blu-ray disc, Leawo Blu-ray Creator allows you to edit the Blu-ray disc based on more than 40 types of disc templates. Before burning, you can set your own preferred Blu-ray parameters. Leawo Blu-ray Creator is one of the best Blu-ray editing software tools for Editing Blu-ray.Furthermore, Leawo Blu-ray Creator features can be used as a photo slideshow burner that allows you to make photo slideshows and burn photos to Blu-ray/DVD disc. It also allows you to burn ISO files to blank disc and converts videos to Blu-ray folder as well as supporting in different types of Blu-ray discs. What’s worth mentioning is that it can turn 2D video into 3D Blu-ray content. Therefore, obtaining 3D Blu-ray home theatre experience is entirely possible with the help of Leawo Blu-ray Creator. Step 1. Download Leawo Blu-ray Creator for Mac and install it on your computer. 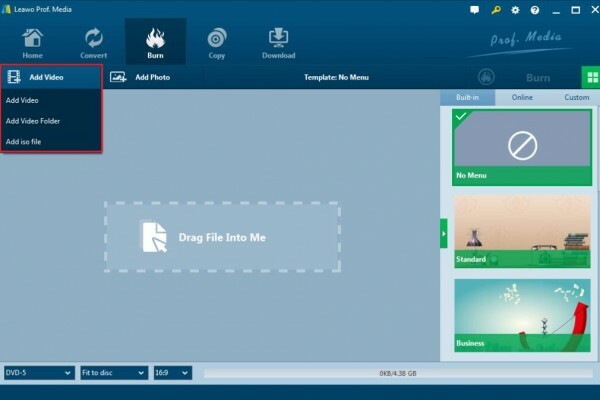 ☉ Create photo slideshows and burn to DVD/Blu-ray disc easily. ☉ Add image or text watermark, trim video size, adjust effect, etc. Step 3. Set the Blu-ray disc menu. On the right side of the burner, you can find various menu templates. Choose one template and click it to enter the main editing panel. Step 4. Edit the video and add 3D effects. After loading the video to this program, you can see a “Edit” button on the file. Click the button to enter the editing panel where you can see “3D” option and click the 3D Mode button to enable 3D effect, including 3D Depth and 3D Mode. Then click “OK” to save the settings. Step 5. Start burning the Blu-ray disc. Click the green button “Burn” on the top right corner and then you will be required to choose the “Burn to”, “Disc Label” and “Save to” options. Once done, click the “Burn” icon below. Just wait in patience, the video will be burned into 3D Blu-ray disc quickly.